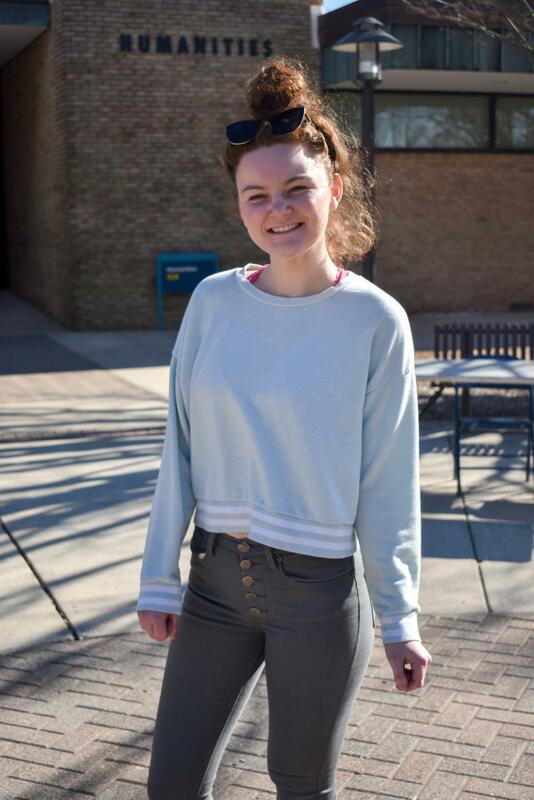 Campus Current Editor-in-Chief Alexandra Radovic recommends branching out and try-ing new clubs on campus. Romeo came from a family of Montagues, and Juliet was a Capulet. The feud between their families made it impossible for them to be together, but that didn’t stop them from falling in love. The Shakespearean play, which Theatre at AACC will premiere on April 12, teaches a lesson of openmindedness that students can apply to their lives on campus. Even though everyone in their hometown of Verona, Italy, told Romeo and Juliet they didn’t belong together, they did what made them happy anyway. Riverhawks fly to many nests at AACC, from classes, to sports, to art, to clubs and learning communities. But don’t get too comfortable in your own nest of friends and extracurriculars. Don’t be afraid to get involved on campus outside of your normal community. Maybe that means you register for a summer class to learn about a hobby that you’ve always wanted to try, like photography or ceramics. Or you could go to an event or two this semester for a club you aren’t a member of but have always wondered about. The campus has 66 active clubs, and most of their events are open to anyone who is interested. You never know who you might meet. Sometimes the people who have different interests from you are the ones you can learn the most from. Maybe you study in the same spot every day. Try exploring the campus and changing your scenery this spring, or even take your books outside and enjoy the nice weather while you study. If you are struggling with an assignment, don’t just ask classmates for help or take to YouTube tutorials and Quizlet like you normally do. Take a chance and go to your professors for office hours or visit the writing and math centers to see if you could benefit from one-on-one help. Stepping out of your comfort zone can happen off campus, too. This spring, try to find opportunities that take your studies beyond the classroom and the library. Ask your professors about volunteer and internship opportunities. You can’t go wrong by challenging yourself in your social and educational life. You may feel like there is no point in making friends at a two-year college. But AACC is all about redefining yourself. Your experience here is no one’s but your own. So take the classes you are curious about, even if they aren’t in your field of interest. Make friendships even if you think they won’t last. Sometimes straying from your usual path can take you places that would otherwise be undiscovered.